I wish to see all the good things come to my life. I want to see new good relationship, life, money, grade and me. I want to see my better life. I wish I will pass anything in a good way. And I will have money to use, I wish to have a good trip to somewhere. I wish I could be the better one. Great love from everyone around me namely family, friends, and boyfriend. Actually, I've already got it but I want it more. I want to see the people whom I love are happy!! I need a happy life and be a good son to my parents. I wish I could see my family happy and healthy in this year and ever. I want to collect more money for everything I want to possess. Hopefully, the role of a teaching trainee is going to be fine. 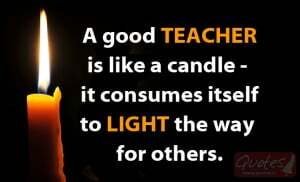 I wish I could be better at teaching and be more positive. I wish I would see myself being healthy, and having successful life. I want to see the celebration in reign of the new king. I can imagine how beautiful it will be. I am thinking about the king's guesses. I want to see my new bf who studies in ETC.